I started an experiment on the Opencesame program. I was able to start and implement the program. During implementation, the program stopped after a while. Please find attached a picture which shows the error message and also the related project. Can one of you have the same problem and help me with that? If this happens rarely then I would accept it as a fact of life. If it happens systematically you can try to figure out which part of the code triggers it, and then work around it. thank you for your answer, I´ll do my best! My experiment includes 4 equal sessions. In session 3, this happened almost at the end. Otherwise, i always have to figure out at which point the experiment was aborted. And then, quickly write a new experiment to start from this point againg. 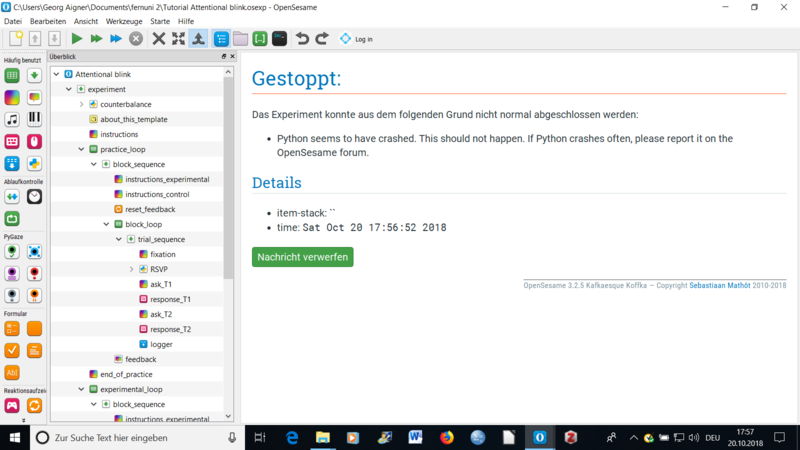 Is it possible, that perhaps an older version of opensesame would better run? I found out that the last 3 button presses that were logged, where logged twice (two lines). Yes, that's certainly possible. 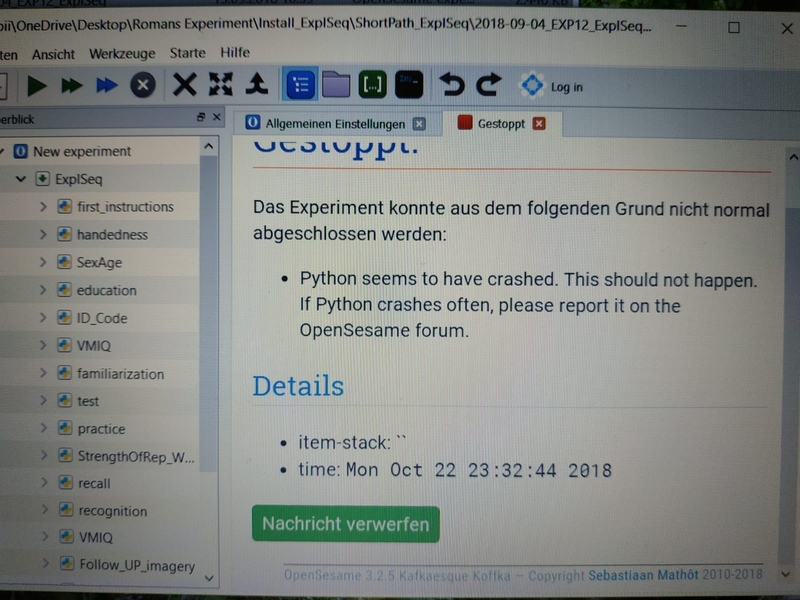 This type of crash generally happens in very specific circumstances, and changing the computer or the version of OpenSesame/ Python may resolve it. Would it be an option to use the Python-3-based package of OpenSesame?